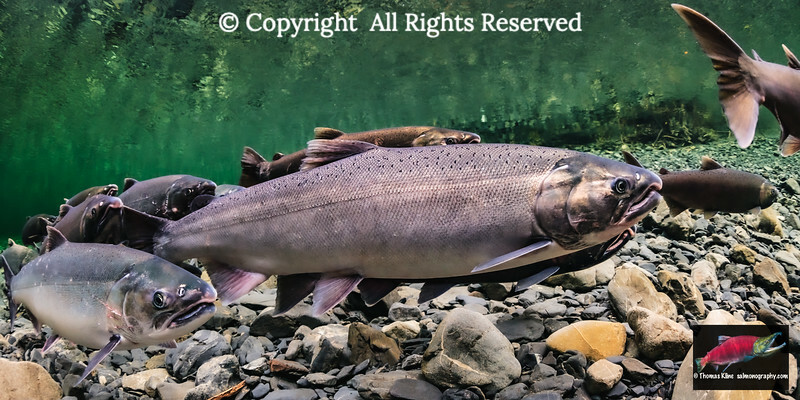 Coho Salmon (Oncorhynchus kisutch) are also known as Silver Salmon. Coho Salmon rear in fresh water for up to five years. 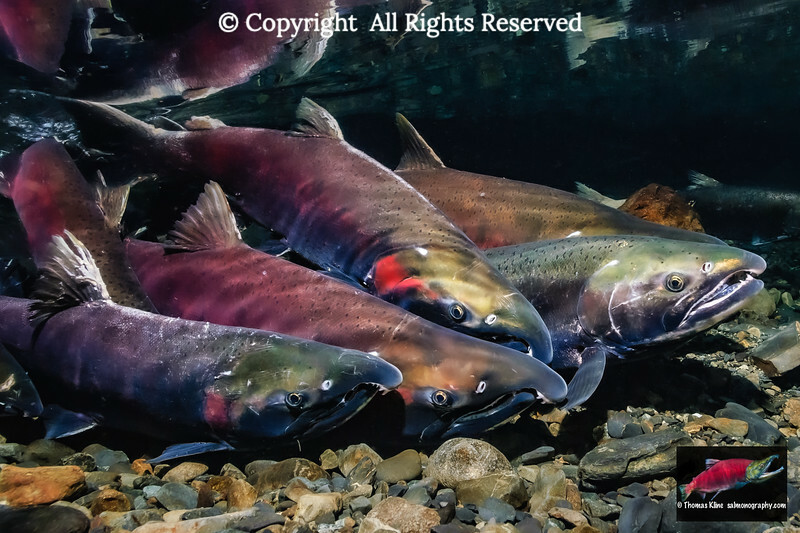 In Alaska, Coho Salmon is the last Pacific salmon species to spawn in a calendar year. Spawning takes place throughout the autumn. At this time stream water levels drop and clarity increases as glacial water sources freeze up for the winter. 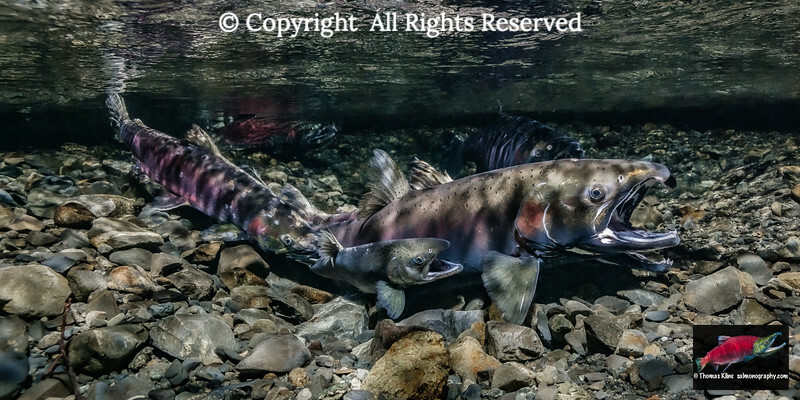 Coho Salmon (Oncorhynchus kisutch) covering her brood. Aspect Ratio = 4:5. 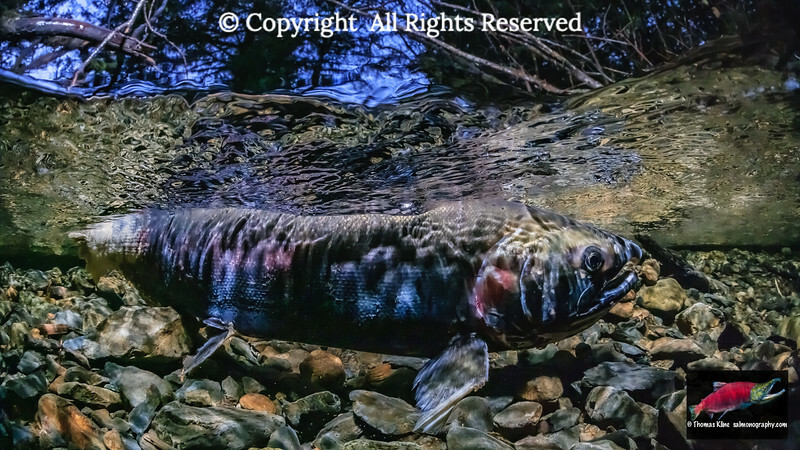 This battered spawned-out Female Coho Salmon (Oncorhynchs kisutch) will guard her clutch, which is located in the stream gravel beneth her, until she dies. 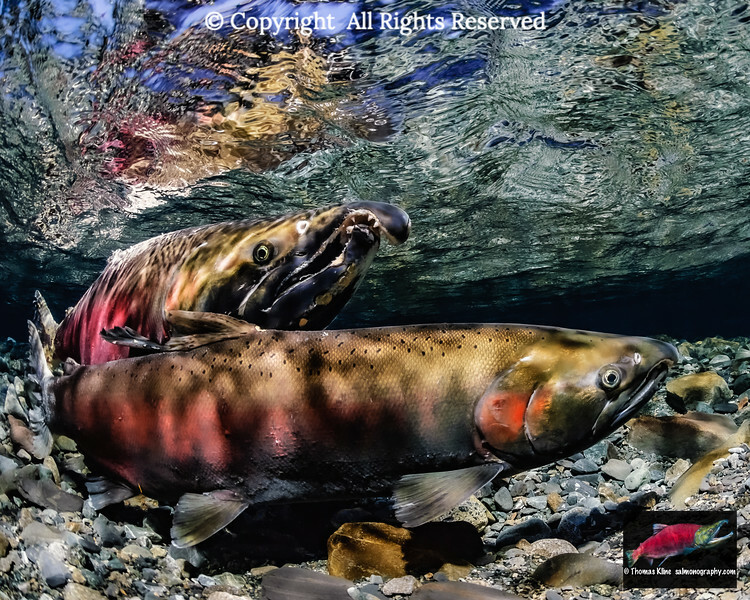 Female Coho Salmon (Oncorhynchus kisutch) probes while alpha male encouages her to spawn by gaping. Aspect Ratio = 1:2. 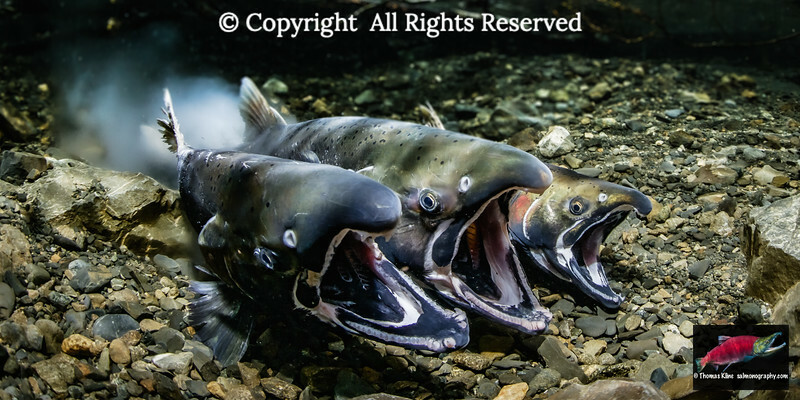 Coho Salmon (Oncorhynchus keta) at various stages of final maturation. Aspect Ratio = 2:3. 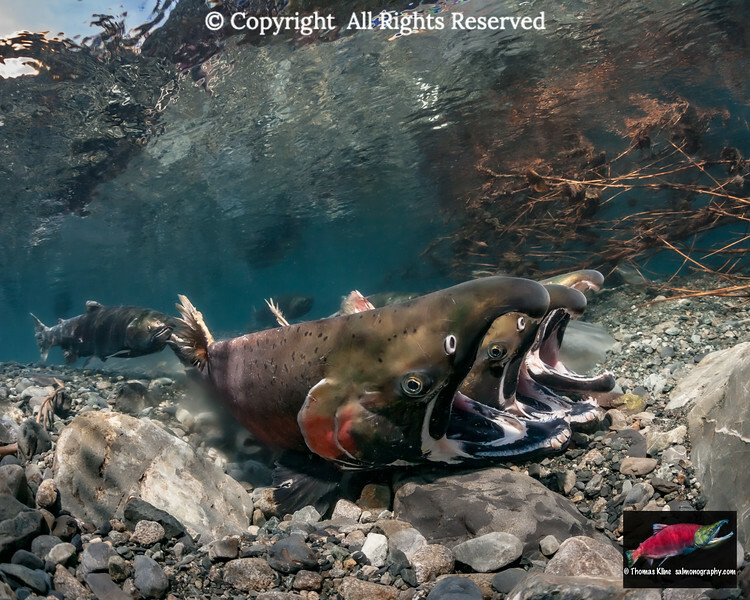 A still bright Coho Salmon (Oncorhynchus kisutch) gapes while holding near a spawning area. Aspect Ratio = 1:2. 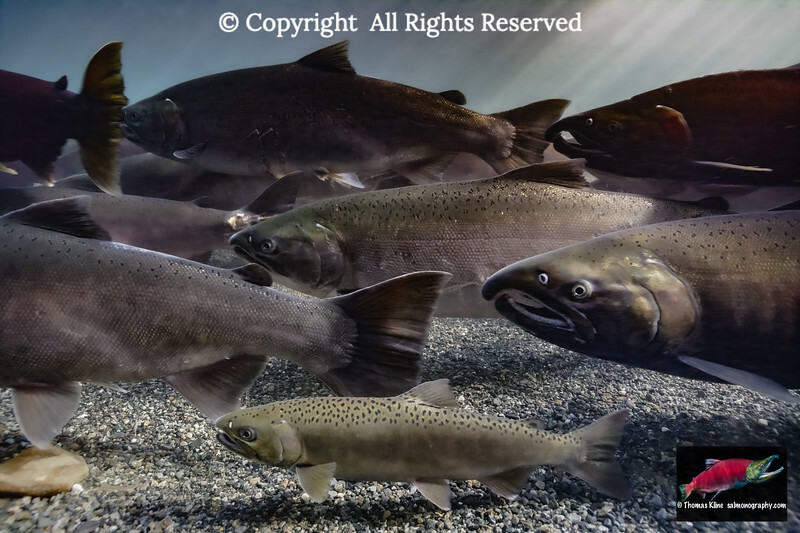 Coho Salmon (Oncorhynchus kisutch) spawning. Aspect Ratio = 2:3. 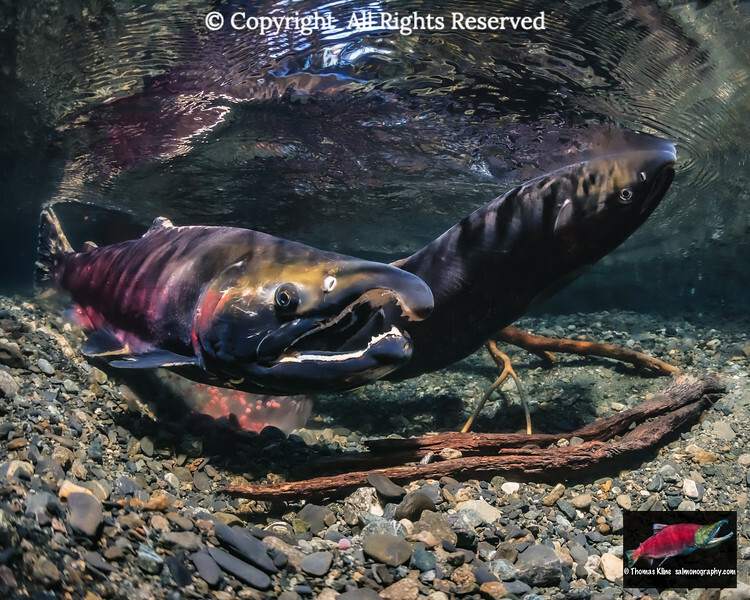 Female Coho Salmon (Oncorhynchus kisutch) ecavating her redd while alpha male guards. Aspect Ratio = 4:5. Coho Salmon commencing to spawn. Coho Salmon (Oncorhynchus kisutch) commencing to spawn. Aspect Ratio = 4:5. 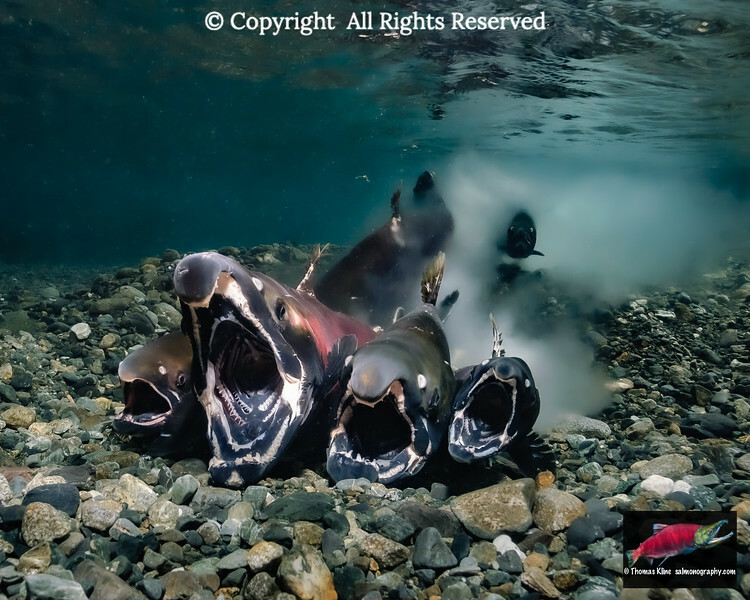 False spawning: three male Coho Salmon (Oncorhynchus kisutch) releasing milt as female watches from downstream. Aspect Ratio = 4:5. 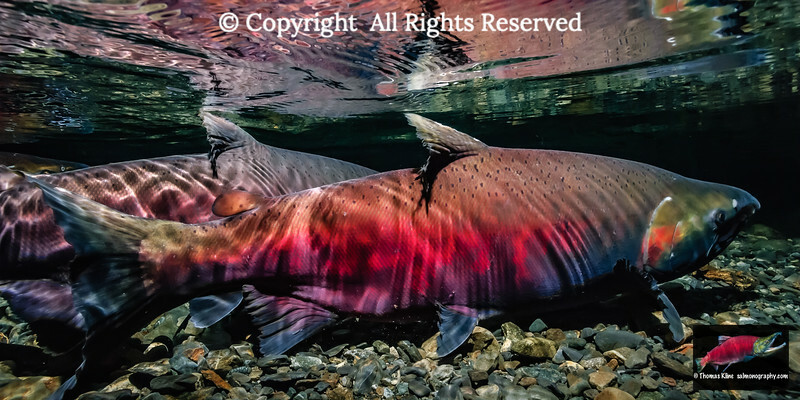 Female Coho Salmon (Oncorhynchus kisutch) ecavating her redd While male guards. Aspect Ratio = 4:5. 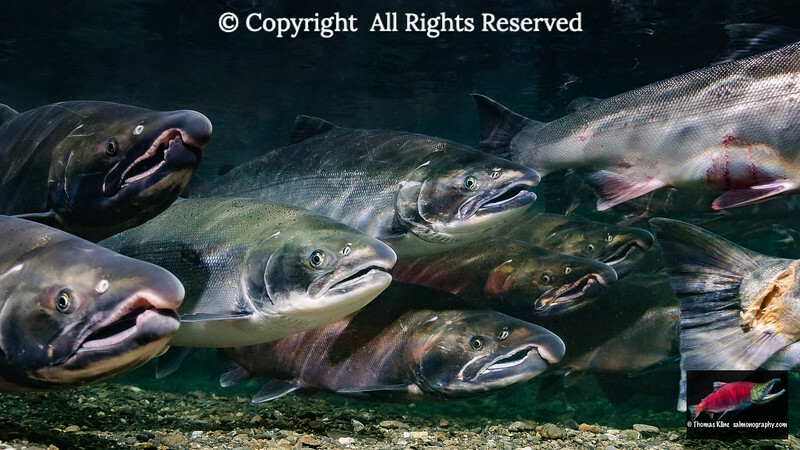 Female Coho Salmon (Oncorhynchus kisutch) with an entourage of males. Aspect Ratio = 2:3. 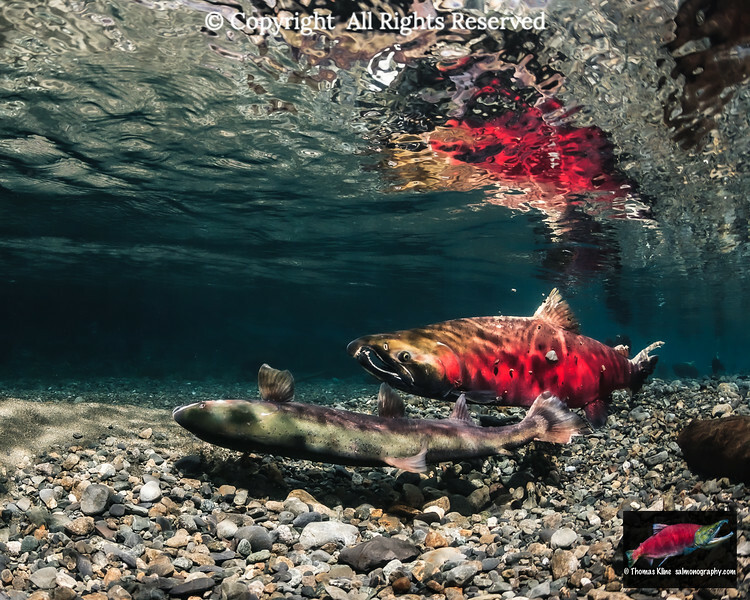 A Male Coho Salmon (Oncorhynchus kisutch) with Dolly Varden (Salvelinus malma) schooled in a pool. Aspect Ratio = 1:2. 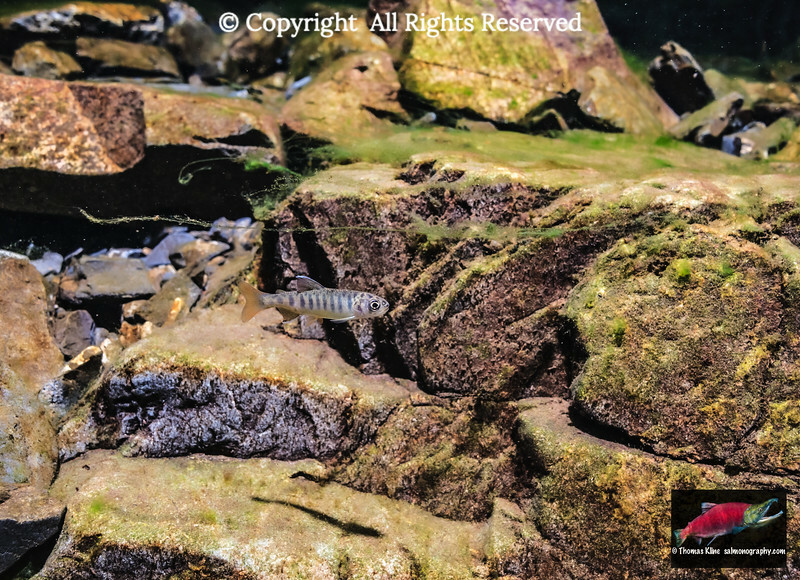 Coho Salmon (Oncorhynchus kisutch) spawning. Aspect ratio = 4:5. 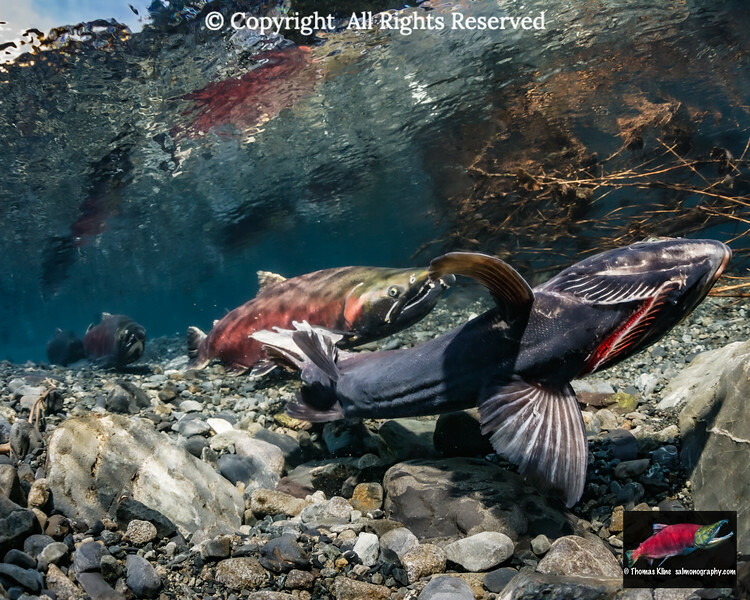 Coho Salmon (Oncorhynchus kisutch) spawning. Aspect Ratio = 1:2. 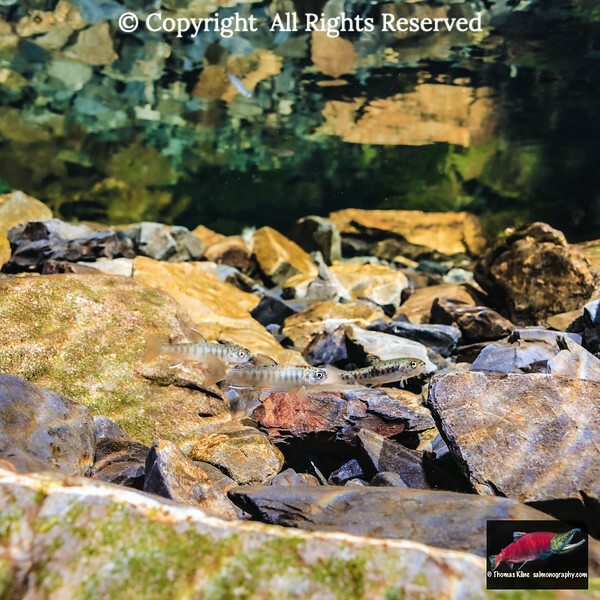 Spawning colors of Coho Salmon (Oncorhynchus kisutch) reflected in a shallow stream. Aspect ratio = 1:2. 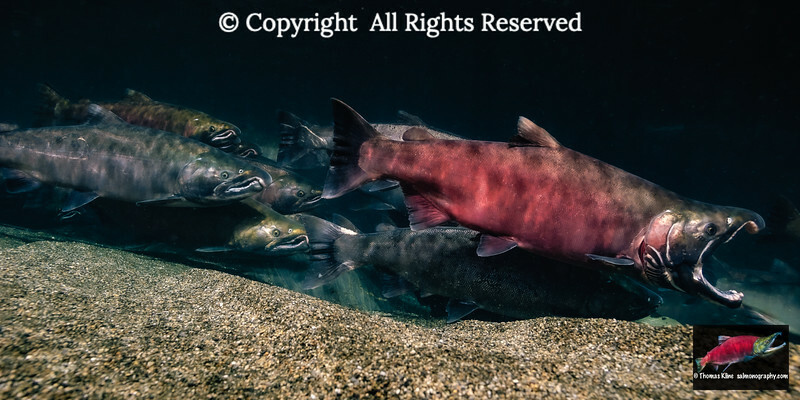 Ocean bright Coho Salmon (Oncorhynchus kisutch) on spawning migration. Aspect ratio = 1:2. 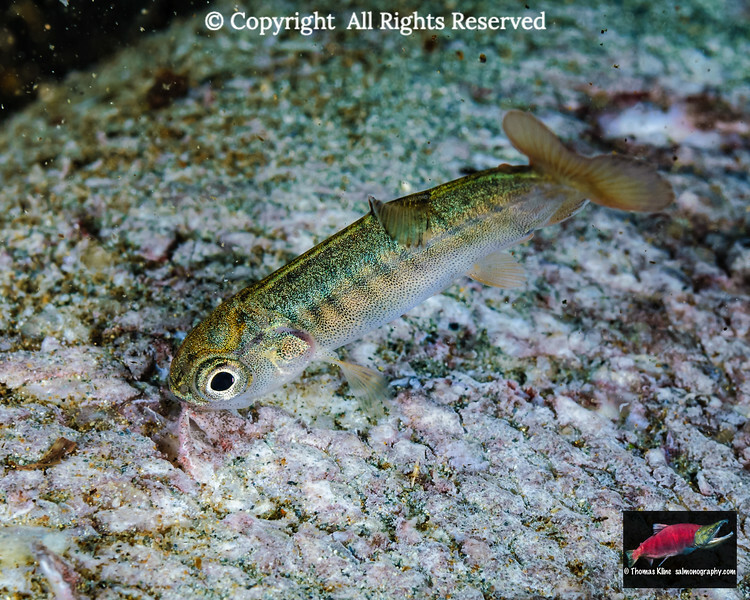 Coho Salmon (Oncorhynchus kisutch) fry feeding on Sockeye Salmon (O. nerka) carcass. Aspect ratio = 4:5. 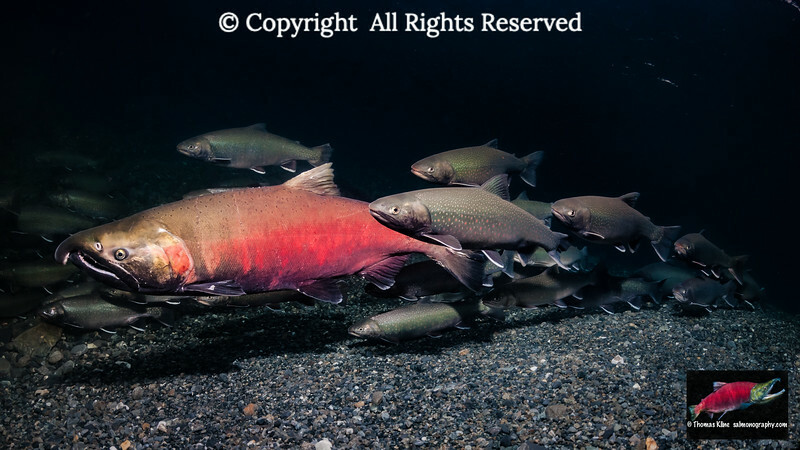 Coho Salmon (Oncorhynchus kisutch) including a jack commencing to spawn. Aspect Ratio = 1:2. 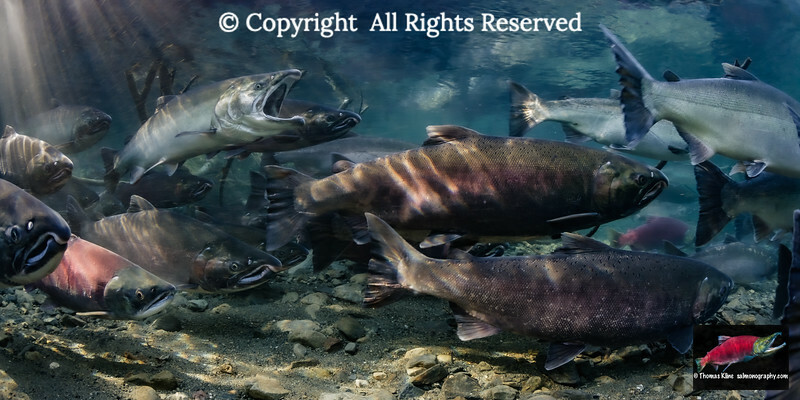 Coho Salmon (Oncorhynchus kisutch) jack or precocious male among other coho on their spawning migration in a tributary of Eyak Lake, Alaska. Aspect Ratio = 2:3. 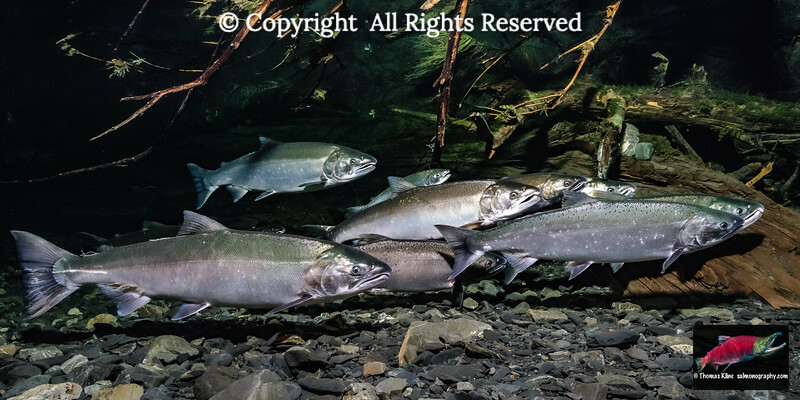 Coho Salmon (Oncorhynchus kisutch) parr rearing in clear water. Aspect Ratio = 2:3. 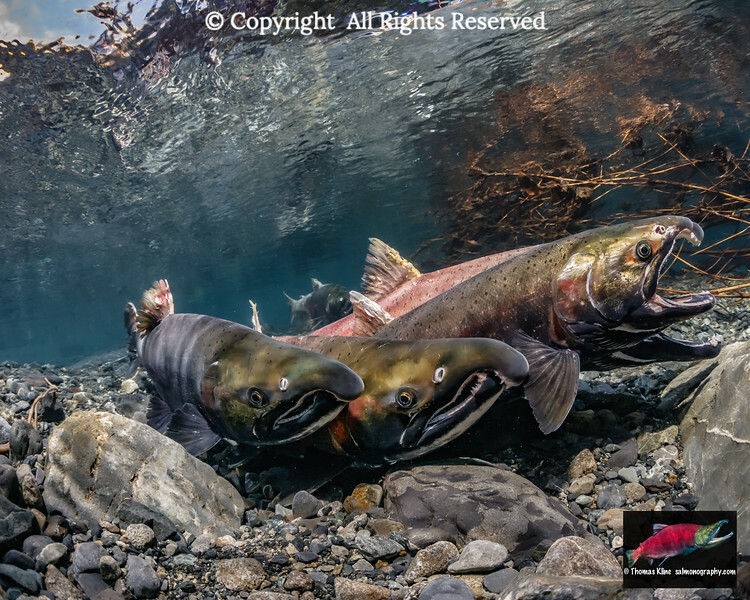 Two Coho Salmon (Oncorhynchus kisutch) fry and a juvenile Coastal Cutthroat Trout (Oncorhynchus clarkii clarkii) in a tributary of Prince William Sound, Alaska. Aspect Ratio = 1:1. 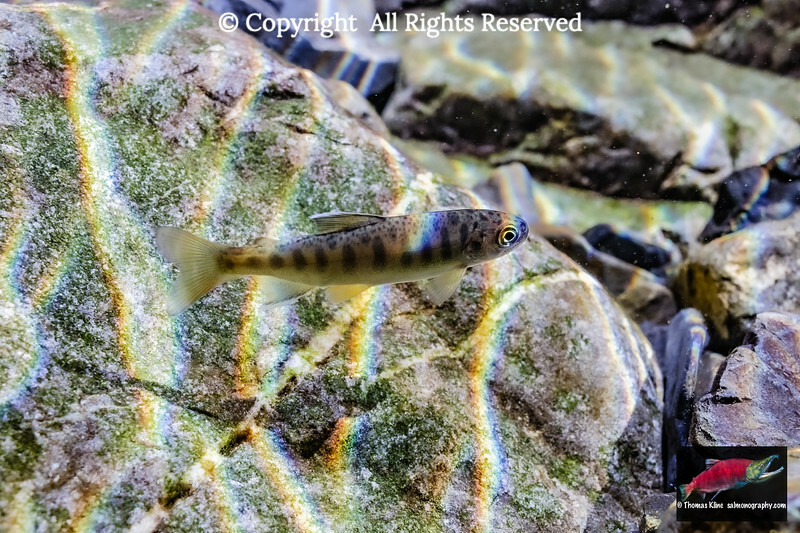 A rainbow of color caused by refraction of light by surface ripples strike a Coho Salmon (Oncorhynchus kisutch) parr. Aspect Ratio = 2:3. 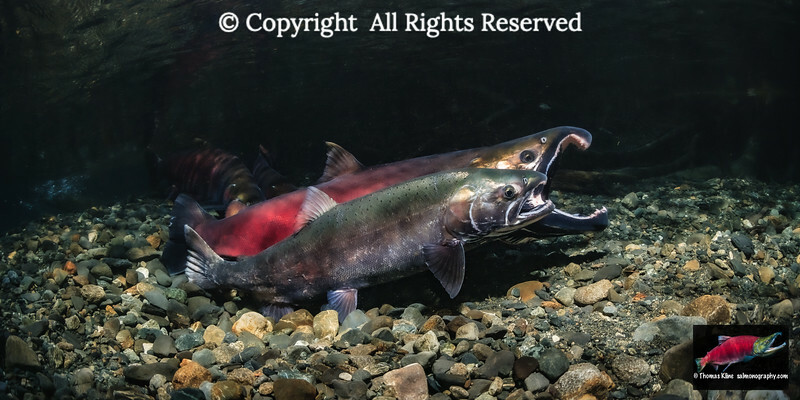 Male Coho Salmon (Oncorhynchus kisutch) doing the gaping threat display. Aspect Ratio = 1:2. 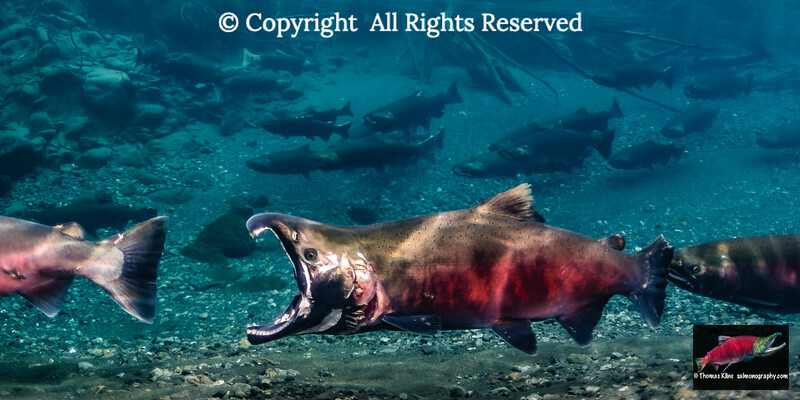 Competing male Coho Salmon (Oncorhynchus kisutch). 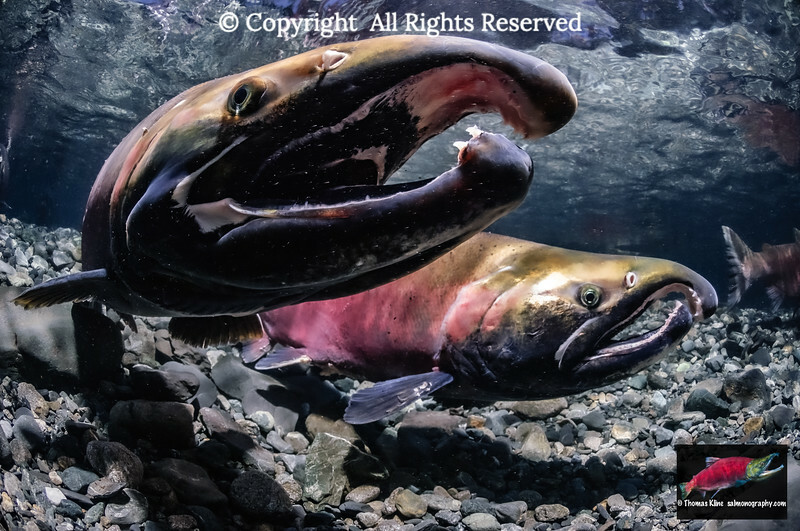 Coho Salmon (Oncorhynchus kisutch) spawning pair. Aspect Ratio = 4:5. 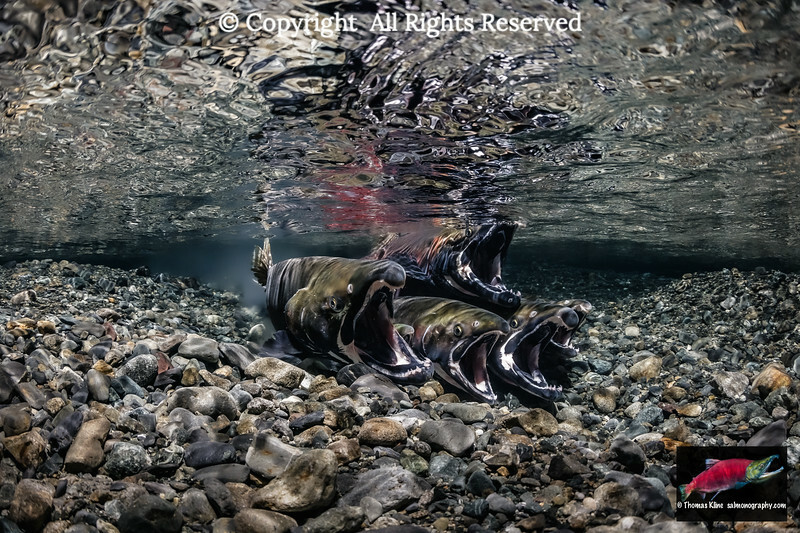 Potential alpha male Coho Salmon (Oncorhynchus kisutch) gaping during spawning migration. Aspect Ratio 1:2.